The CCSBT is an intergovernmental organisation responsible for the management of Southern Bluefin Tuna throughout its distribution. The CCSBT’s objective is to ensure, through appropriate management, the conservation and optimum utilisation of Southern Bluefin Tuna. AFMA is the Australian Government agency responsible for the efficient management and sustainable use of Commonwealth fish resources. AFMA aims to ensure that healthy and fresh local seafood is available and affordable to all Australians for current and future generations. PIRSA supports and helps grow the industry though: policy legislation and regulation, leasing and liscensing, supporting aquatic animal health, advising industry associations, increasing trade and investment and scientific research and innovation. FRDC is a statutory authority that manages research and development investment by the Australian Government and the Australian fishing and aquaculture commercial, recreational and indigenous sectors. 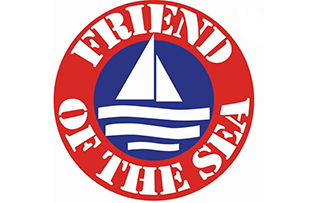 Friend of the Sea is a project for the certification and promotion of seafood from sustainable fisheries and sustainable aquaculture. It is the only certification scheme which, with the same logo, certifies both wild and farmed seafood.